Rapid Rail is in business to ensure the best possible crane rail solution for each client project. This means planning to overcome potential delays or difficulties, engineering design to create the most efficient system that is fit for purpose, and project management to deliver the outworking of these ideas on-site. We work with clients, suppliers and the Rapid Rail team to deliver an excellent solution, within agreed timescales, budget and quality constraints. Rapid Rail Design means advance plans are agreed and put in place across all aspects of the project: site preparation, construction, product selection, supplier engagement and team commissioning. Project Management then ensures smooth running of the project, efficient construction, Crane Rail Installation and Crane Wheel Lubrication. Careful design and planning not only initiates the project smoothly and efficiently, but also reduces the need for future emergency repairs, regular maintenance and even system failure. If any of these should be necessary, the costs are high in terms of the material cost of repair and materials, but also in terms of potential down time which means loss of earnings. 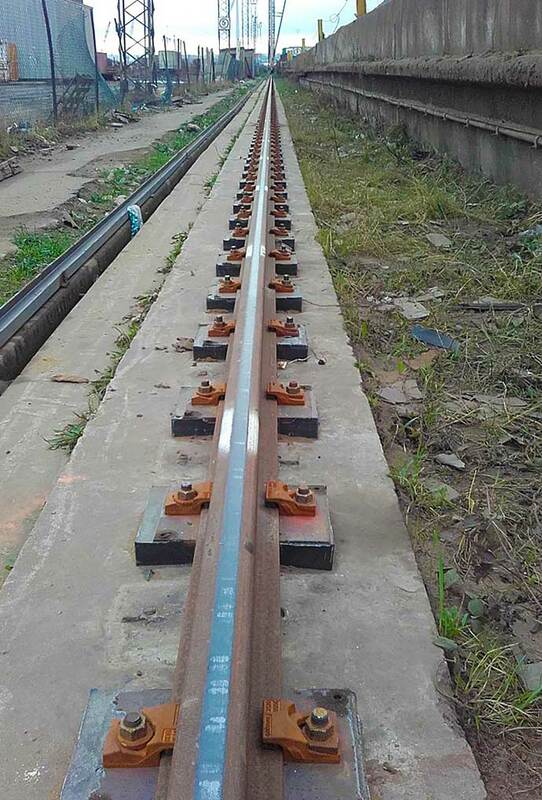 The appropriate Crane Rail System Design, and installation to the correct tolerance and high standard of craftsmanship, means these failures and associated costs can virtually be eliminated. Rapid Rail Consulting Engineers have over 60 years collective expertise of implementing hands-on management, the latest computer technology and offering consultancy and advice. Through our Planning and Design Consultancy we are proud to deliver operating structure of integrity and longevity. Please consult our Design and Consultancy Service to ensure the correct Crane Rail Solution or Contact us +44 (0)1452 383001.